Microsoft’s latest browser, Project Spartan, is keeping its promise so far. On Monday night it became available as the main draw of Build 10049 of Windows 10, which went out to the “Fast” ring of the Windows 10 testers. In our hands-on, it’s definitely lightweight—if only because there isn’t much there yet at this early stage. Project Spartan lives in the toolbar, next to your other apps. 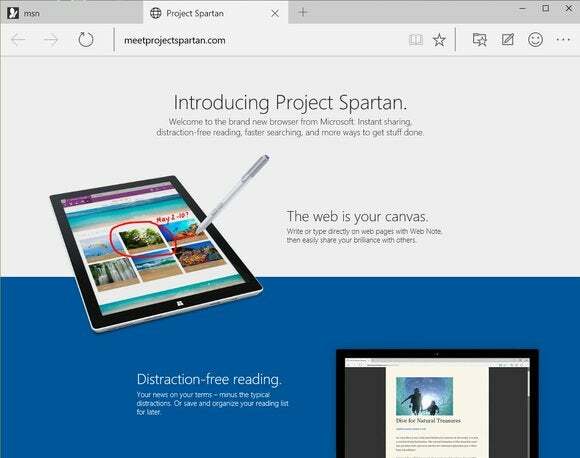 Spartan offers several improvements over Internet Explorer: lightweight browsing; support for plugins; the ability to mark up a Web page; scrawling comments using digital ink; a new reading mode; and the integration of Cortana, who serves as a personal assistant while browsing. All of these save Cortana have been integrated in the new build. Technically Cortana is there, as well. However, the assistant isn’t really dynamic, and only appears when you right-click a particular term or group of words. Then, a column appears on the right hand of the screen, where Cortana makes suggestions. Why this matters: Project Spartan is Microsoft’s bid to bring back users who learned to detest Internet Explorer. And it's not just a numbers game: Every returning set of eyeballs gives Microsoft another chance to serve the Web through its own prism. Windows 10 will ship with both Spartan (reportedly set to be rebranded as something else) and IE11. Over time, however, Internet Explorer will fade away, and is really only there to serve the needs of “legacy” Web sites. Spartan was designed as the next-gen “modern” browser. Spartan, as its name might suggest, is sparse: no muss, no fuss. It's there just to get the job done. 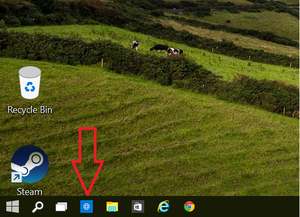 Although Project Spartan appears in the list of apps after you download and install the new build, you can also identify it in the the toolbar as the little blue globe. It’s a lengthy process: You’ll need to download, install, then “reinstall” the software using the new UI that appeared in the recent Build 10041 update of Windows 10. Highlight a word or phrase, and you can ask Cortana for more information. Once installed, however, the Spartan Web browser is there for you to dig into. Spartan appears to tap into the bookmarks you’ve already set for Internet Explorer, so that portion is set up for you. Aesthetically—and this is a personal preference—Spartan feels, well, a bit too spartan. The entire top of the browser is a monochromatic array of icons and text. I’d like a small splash of color to liven up the place and provide some visual cues. You’ll find that elsewhere—the bookmarks column to the right, for example—but it’s a bit off-putting. Want to create your own Web graffiti? Go right ahead. At this point, not all of Spartan’s features have been implemented. 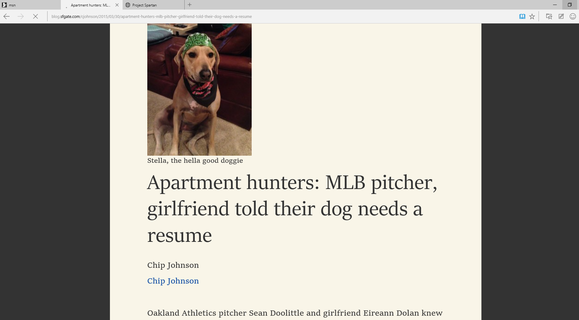 On the top row of the browser, separated by a divider, are icons that allows you to set and review "reading lists” of articles to be saved later, as well as downloads. Those are coming later. You can, however, navigate to an article (like this one) click the little “book” icon in the top right (which is grayed-out when viewing our PCWorld.com homepage, for example) and view the article in reading mode, with ads and other extraneous information vanished. It’s nice to see that you can get rid of ads on sites that need them to pay their writers (ahem), but also on Microsoft’s pages themselves. Spartan isn’t impressive—yet—as far as performance is concerned. On Tuesday night, I put Spartan through its paces. IE11 starts fast, in about 0.8 seconds. Spartan’s nearly as quick, at about 1.5 seconds, but still slower than IE. IE11 also generated higher scores in the FutureMark PeaceKeeper benchmark—2523 to 2425—than Spartan. In the CanvasMark 2013 benchmark, IE11 scored 8461, versus 8204 for Spartan. The reading mdoe strips a Web page down to its essentials, but also occasionally left out relevant pictures. But based on what you’ll use Spartan for—browsing the Web—it shines. Many of you remember the bad old days when earlier versions of Internet Explorer were incompatible with many Web standards, or Firefox leaked memory all over the place. Spartan may not be the fastest browser at present, but its memory use is impressive: With just a single tab open, Google Chrome consumed 72.1 Mbytes, IE11 consumed 83 Mbytes, and Spartan consumed just 16.6 Mbytes. With seven tabs open, Chrome consumed 110.2 MB; with the same Web pages opened using Spartan, Microsoft’s new browser consumed just 27.9 Mbytes. It’s true, however, that Google Chrome consumes gobs of memory because it “sandboxes” each tab, protecting the application as a whole in case one tab crashes. It’s unclear whether Spartan will offer the same protection. Still, Spartan clearly is going for a minimalistic look. I’m not sure I like the aesthetics, but I sure can’t argue with its memory consumption, at least out of the gate.